I became thoroughly enthused when I stumbled across your ad regarding the Service Manager position at the new Mexican Grill opening up downtown. Frankly, I don’t know if I’m more excited about becoming a Service Manager or the notion of a new Mexican Grill opening up downtown. I like Mexican food! Especially fajitas. There’s something truly orgasmic about the smell of freshly grilled peppers and the sizzle of a piping hot platter as it’s being delivered to your table. Mmm, What an experience! But, I digress. I’m looking for a position that will allow me to utilize my customer service skills and unique culinary knowledge. I’m familiar with your restaurants and greatly appreciate the craftsmanship that is noticeable in everything, from the food to the decor. (I should probably confess that sometimes I steal your cocktail napkins and set them out at parties. I hope this doesn’t dampen our relationship). Your restaurants exhibit a certain class that is absent from most other establishments in town. I find it particularly refreshing that each employee is required to wear black. 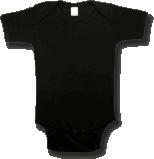 I have a black onesie that would be ideal for a weekend night or any kind of special event. I have attached a resume for your review, as well as a picture of my onesie. Please contact me as soon as you can to set up an interview. I look forward to meeting you. P.S. I make a guacamole that is die for!